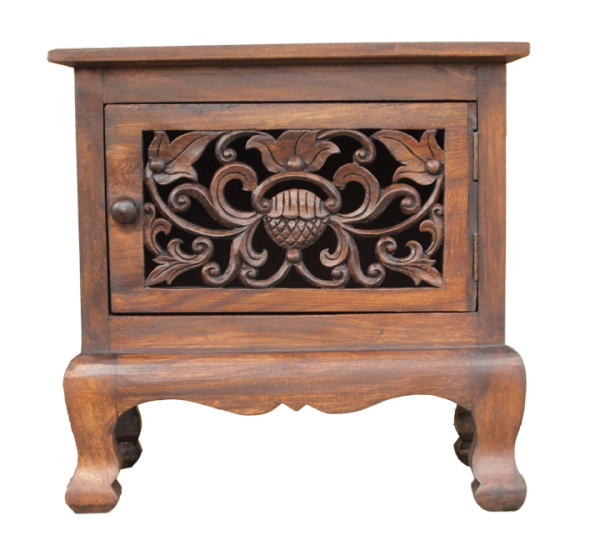 This hand carved flower cabinet has skilfully carved door and side panels. 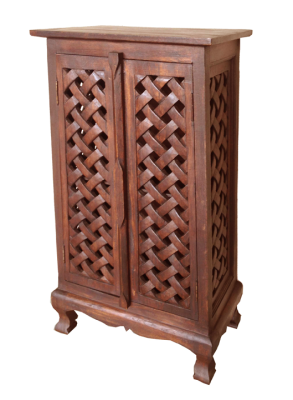 It can provide storage in any area needed and can also function as an end table or stand. 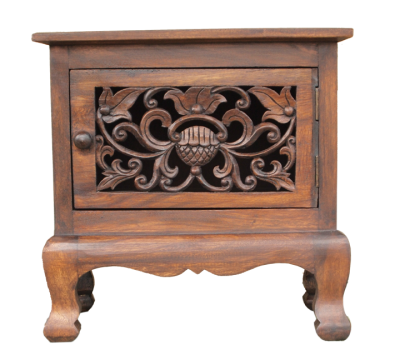 It's made with acacia wood. 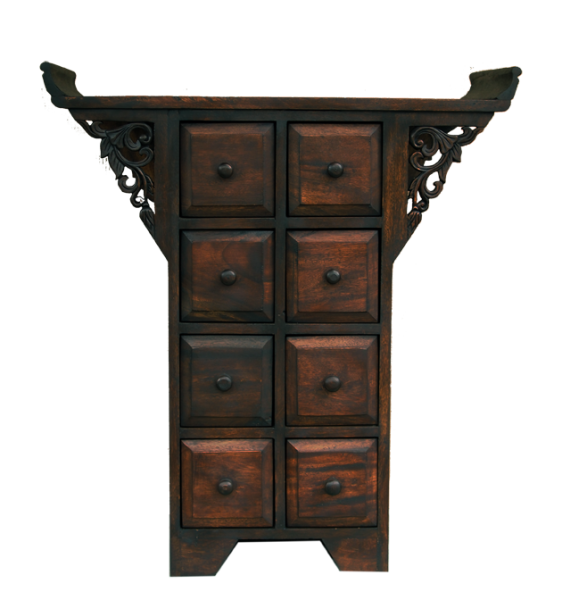 It's 20" wide, 14" deep and 20" tall. W 20" / D 14" / H 20" / 20 lb.